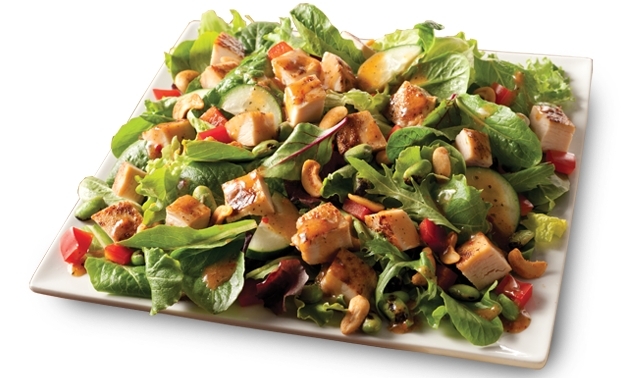 Wendy's adds two new permanent salads to the menu with the introduction of the Asian Cashew Chicken Salad and the BBQ Ranch Chicken Salad. The company has also revamped their Garden Side Salad. The Asian Cashew Chicken Salad features fire-roasted edamame, spicy roasted cashews dusted with garlic, onion, and sea salt, chopped grilled chicken breast, sliced cucumbers, and a lettuce blend of 11 different kinds of field greens, dressed with a light spicy Asian chili vinaigrette. 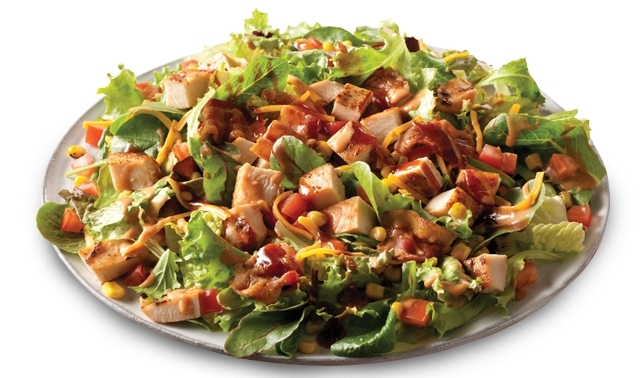 The BBQ Ranch Chicken Salad features fire-roasted corn, diced tomatoes, applewood-smoked bacon, chopped grilled chicken breast drizzled with a honey barbecue sauce, shredded cheddar cheese, and a field green-lettuce blend, served with BBQ Ranch dressing. As to why these particular salads: apparently Asian and barbecue are among the top flavor food trends this year according to the National Restaurant Association's "What Hot in 2014" list. The new salads replace the Baja Salad and the Chicken BLT Cobb Salad. The suggested price on the BBQ Ranch Chicken Salad is $6.19 for a full-sized portion and $4.19 for a half-sized portion. The suggested price on the Asian Cashew Chicken Salad is $5.99 for full-size and $3.99 for half-size. Along with the addition of the new salads, Wendy's is also adding sliced cucumbers and red peppers to their Garden Side Salad. The suggested price remains the same at $1.59.